The past sixteen months have been incredibly tough on former R&B standout, Chris Brown. He had portrayed himself as a golden boy and the fans ate it up. Brown was known for his songs which often dealt with him trying to win the heart of a young lady. It was as if he could do no wrong with the females. The fans fell more in love with Chris Brown in 2007 when he revealed he was dating Rihanna. Similarly to Brown, Rihanna had won the teenage audience over. She was known for her upbeat, sing-along type songs. Many felt Chris Brown and Rihanna were good for each other. For nearly two years, they played the media with this story about being a happy couple. Soon, though, it was revealed they were not good for each other. Instead, they were toxic to each other. Right before the Grammy's, Chris Brown publicly beat Rihanna and he was forced to break up with her. The two are now with other people. When it was revealed that Chris Brown was an abuser, his fan base turned on him. For years, he had marketed himself as a lover as opposed to a fighter. But, he was revealed to be a fighting lover on the inside and no woman wants to be beaten. Some argued Rihanna pushed him to his limits and Rihanna was known for beating him, too. Brown issued a public apology and he revealed he was abused as a child. He tried to say fighting was the only way he knew how to solve problems. Despite his plea with the media and the fans for a second chance, many radio stations pulled Brown's songs from the rotation. The aftermath of his fight with Rihanna has cost him his career. 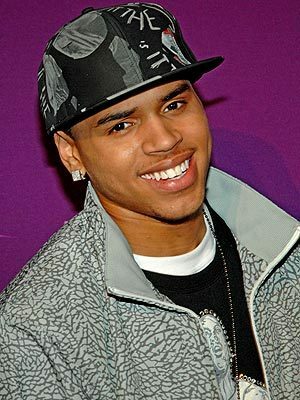 On his first two albums, Chris Brown averaged double platinum status. His last album barely sold 100,000 copies. Brown even accused retail giant, Wal-Mart of not selling his CDs. He would go into some stores and see his album buried among all of the other albums. Perhaps the biggest loss in Chris Brown's fight with Rihanna has been him being banned from entering the United Kingdom. In the past, the UK has banned criminals from entering the nation. Brown now joins a long list of rappers, including Ja Rule, who cannot enter the country. This all stems from the fight Brown had with Rihanna sixteen months ago.